Monday, April 8 at 7:30 p.m.- Irish Heritage Quebec will hold an activity in McMahon Hall, 1145 de Salaberry in Quebec City. 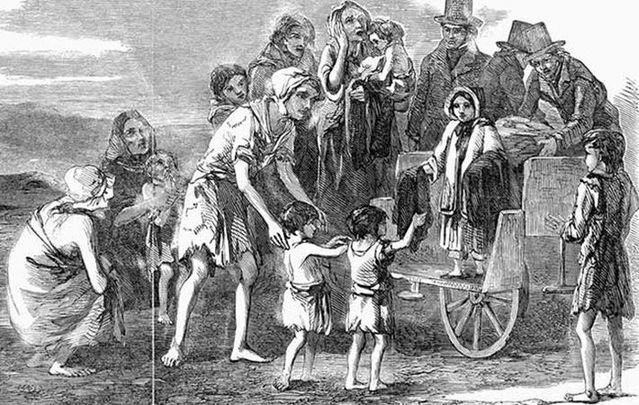 Michael Collins will give a presentation entitled In Search of a Voice, which will discuss the emergence of policy within the historical record leading up to and through the hunger years. This officious voice of neo-economists emerged as clinical, data-driven and bureaucratic and anathema to sympathy and state-sanctioned charity. Refreshments will be served and parking stubs for Îlot St-Patrick will be validated. For more information phone Irish Heritage Quebec at 418-704-3404. Michael Collins is a well-established Irish novelist with ten works of fiction on the market as well as being a world-class marathon runner. In 2016, He completed his long “famine” run from Grosse Ile to Toronto. Originally from Limerick, Ireland, he currently lives in the United States. He studied at the University of Notre Dame and completed a PhD at the University of Chicago. 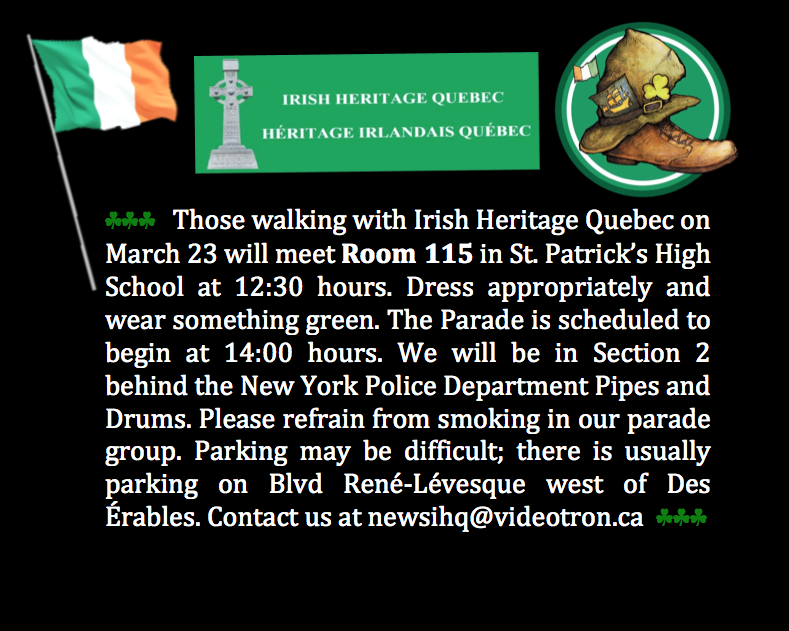 The Défilé de la Saint-Patrick de Québec has invited Irish Heritage Quebec to attend a presentation to be given by Isabelle Matte in the auditorium in the basement of St. Patrick’s High School on March 21 at 19:00. Refreshments will be served and admission is free. You must enter by 1085 De Salaberry. Please note the conference will be in French and is titled Raconte-moi que tu as vu l’Irlande: l’île émeraude comme miroir du Québec. Between Memory and History: Connecting the Irish past between Shannon and Valcartier.